Marble Cube 6-pack, 6 foam cube puzzles included, flat packed in their frame. 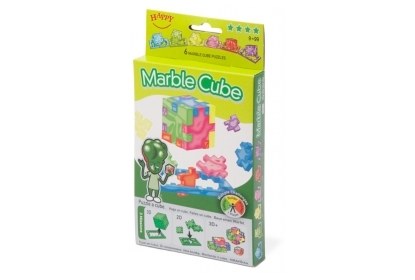 This Marble Cube packaging includes 6 different foam puzzles, with a sense of marble. With each cube puzzle the difficulty gets harder. The ultimate challenge is to combine the puzzles in large constructions.